Activist Nariman Memedaminov was charged for participating in an unsanctioned rally. The Bakhchysarai court fined the Crimean Tatar activist Nariman Memedeminov, who on April 13, 2017 came to support Seidam Mustafayev during an illegal search in his house, the Crimean Tatar activist Server Mustafayev informed on Facebook. According to the activist, the court ordered Memedeminov to pay a fine of 10 thousand rubles. The lawyer of the accused, Lilia Gemedzhy, pointed to a number of gross procedural violations in compiling the administrative case and the absurdity of the conclusions reached by the MIA officials. They called a peaceful, spontaneous meeting of indifferent fellow countrymen at the house of Seydamet Mustafayev an unauthorized rally. Furthermore, the lawyer drew the judges’ attention to the difficult financial situation of Nariman Memedeminov, who has dependent young children. During the presentation of the video and photo materials of the case, it also became evident that the violations were carried out by law enforcement bodies who started beating civilians. “To be honest, I see these images not for the first time. The heart and tears simply can not stand to see and hear all these cries, mothers bagging for condescension, these enraged eyes of the law enforcers and their vigour to punch the women with truncheons. At that moment, even the remarks of the law enforcers are absolutely not perceived and do not frighten the activists, because the eyes and the hearts see and feel much greater pain and horror from what is happening. How do these people, "those brave security officials," can calmly sleep after that, can live and eat, earning a ruble at such a price?” Server Mustafayev commented, noting that the video mentioned was used in administrative cases against Osman and Emil Belyalov. 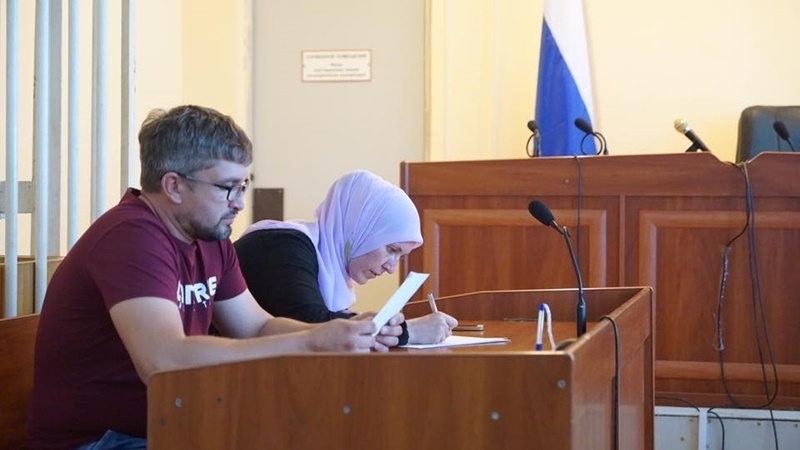 Reference: Nariman Memediminov from the village of Kholmovka in the Bakhchysarai district was one of the Crimean Muslims detained on February 11, 2016. 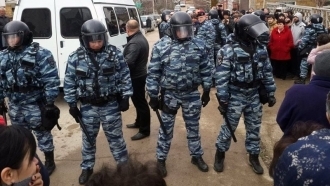 On that day, as a result of illegal searches in homes of Crimean Tatars, 12 people were detained. Among them were representatives of the "Yalta Four" Emir-Usein Kuku, Vadim Siruk, Enver Bekirov and Muslim Aliyev, who are accused of participating in the organization "Hizb ut-Tahrir", banned in the territory of the Russian Federation.